Cultural Compulsive Disorder: Avengers Assemble... For Homeroom!!! God bless your heart Reddit. I love that site so much, mostly because of the funny & wild things that people post on there in relation to pop culture. 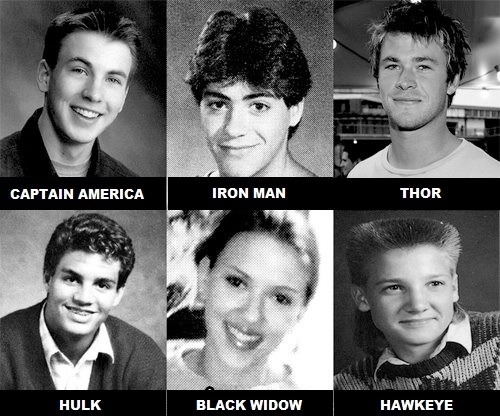 So when I saw this group photo of The Earth's Mightiest Heroes as mere High Schoolers, I flipped my wog. Great job... see you guys in Study Hall!!! Click after the jump to see the pic.